These bricks have been laid in a pattern, to create a paved walkway. 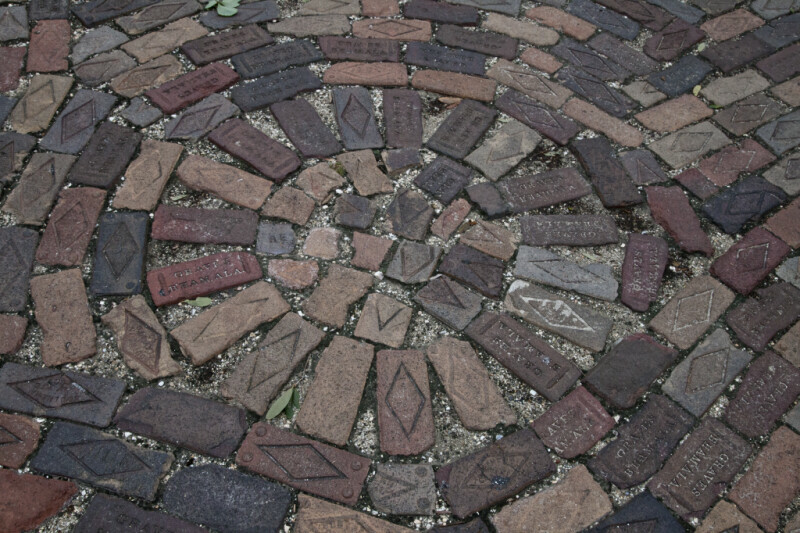 Broken bricks have been used to create a circular center, with a row of bricks radiating away from the center. The majority of the bricks appear to be from either the Graves Brick Company of Birmingham, Alabama, or from the Southern Clay Manufacturing Company of Robbins, Tennessee.